If you are currently studying Turkish or would like to do so, then this is the perfect month for you! Every day we are going to post a video of the #turkishwordoftheday which will increase your vocabulary and show you the spelling, translation and correct pronunciation of new words or expressions in Turkish. You can find our #turkishwordoftheday across our social media channels Facebook, Twitter, Instagram, Google Plus and You Tube. Turkish is spoken by more than 75 million people across the world and the most widely used of the Turkic languages. Ita��s the official language in Turkey and Cyprus as well as a recognised minority language in countries like Greece, Romania or Bosnia and Herzegovina. The Turkish language derives from the heterogeneous mix of cultures from the Eastern Mediterranean and Central Asia and learning it will also give you a better understanding of a fascinating and intriguing culture. Being the gateway between the East and the West Turkey and the Turkish language is of strategic importance in world politics, international trade and global development. 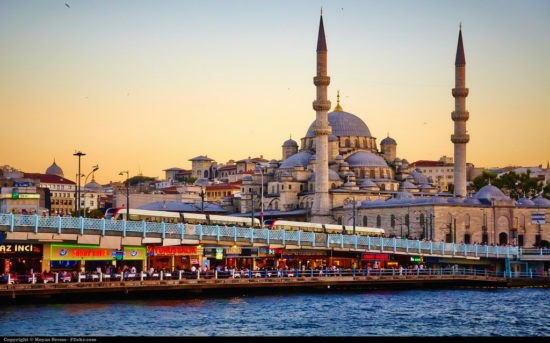 Whether you are going on holiday to Bodrum, Marmaris or Istanbul, or planning a career in the United Nations, learning Turkish will help you achieve the most out of your experiences. If you want to learn Turkish in the UK we can help you on your language learning journey with our Free Online Turkish Resources or with our Turkish Private Tuition option. You can also check your level of Turkish with our free online Turkish level test. Each month we will bring you new vocabulary and inspiring destinations about a different language and May will be Latin American Spanish month!